Scalable Vector Graphics (SVG) is a markup language based on XML that is used for displaying of 2-dimensional graphics. SVG has numerous advantages over the traditional image formats like PNG, JPG, GIF etc. SVG documents are scalable, interactive, accessible, responsive, programmable, and have great performance. 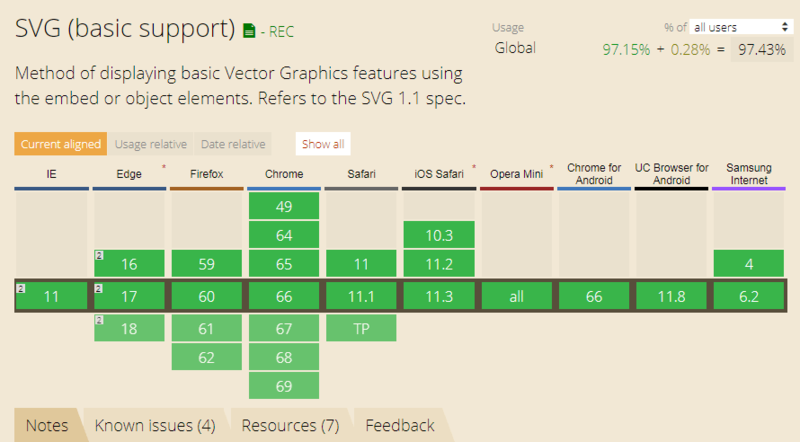 Since the SVG is a widely supported across browsers it became a preferred file format for logos, icons, charts, geo maps, and even games. Nowadays more and more websites follows the responsive web design principle. That's why is so important to know how to make your SVG resources to fit the responsive design. For fluid SVG images don't use the width and height attributes. Instead of this add viewBox and preserveAspectRatio attributes. viewBox - this attribute allows you to specify that a given set of graphics stretch to fit a particular container element. preserveAspectRatio - this attribute indicates whether or not to force uniform scaling. Let's see a fluid SVG demo. 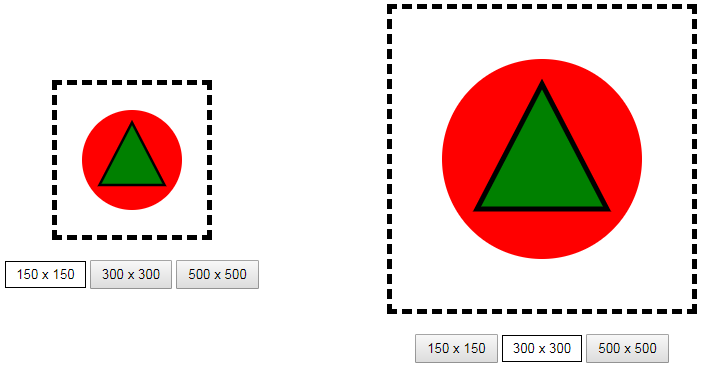 In addition to rules for fluid SVG images, to also add a responsiveness use CSS media queries. CSS media queries - depending on device screen size and/or orientation, you can change SVG attributes or even displays different shape. Check out our responsive SVG demo. Inline SVG - the inline use increases the overall size of HTML document but reduces the need for additional HTTP requests to load image resources. See an example. 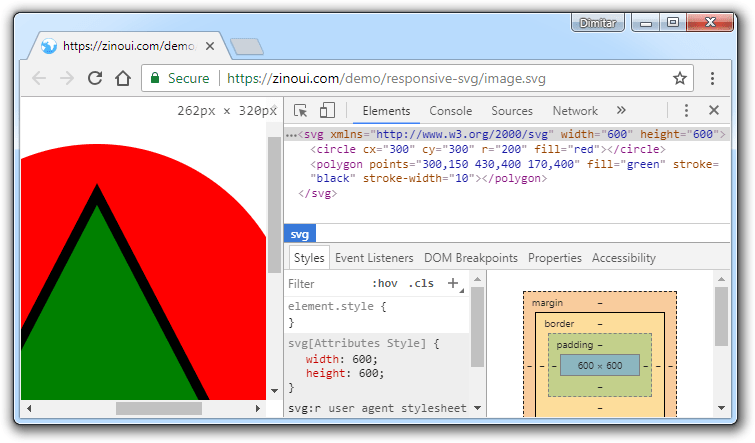 SVG as <img> - a common practice is to use SVG as an image source. In this case, CSS helps to adjust the dimensions. The main drawback is that you can't apply styles separately for each shape in a single SVG since the last could possibly consist of multiple shapes as <path>, <circle>, <rect>, etc. See an example. SVG as background image - See an example. SVG as CSS content - See an example. 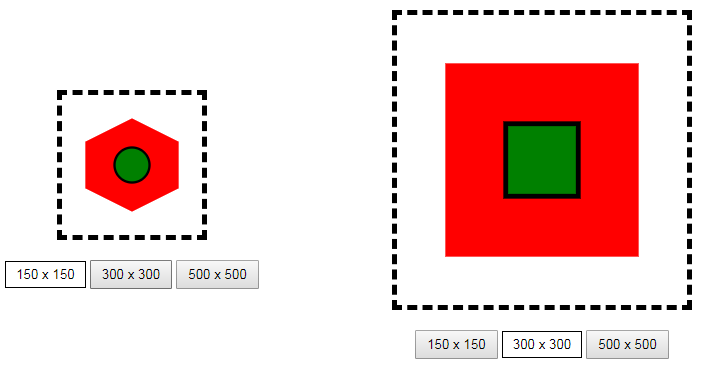 SVG as <object> - See an example. That's all. Now, let's see a demo of above code. I'm looking forward to your comments about responsive SVG. If you find useful this article please share it with friends on social media. Thanks so much for reading.